The Beatles Revolutions film series at UCSB’s Carsey-Wolf Center kicks off with a screening and discussion of <em>A Hard Day’s Night</em> this Thursday, January 17, at 7 p.m.
Musically, the Beatles managed the unparalleled feat of both crystallizing and redefining music over the course of its decade as a band. Their discography is a jukebox of infectious pop music blended with freewheeling experimental and eclectic impulses, especially heard from their 1967 Sgt. Pepper’s Lonely Hearts Club Band to 1969’s Abbey Road. They wanted to change the music world while also embracing its traditional values. On a humbler level, the Beatles’ cinematic legacy has achieved a similar balance of emotionality and envelope-pushing audacity. As such, their cinematic oeuvre is the subject of an enticing free-to-the-public film series at UCSB’s Carsey-Wolf Center, Beatles Revolutions. The series spans a course of five films made during and after the Beatles’ life as a band and features special guest speakers, including Beatles engineer Alan Parsons and famed rock critic Greil Marcus. 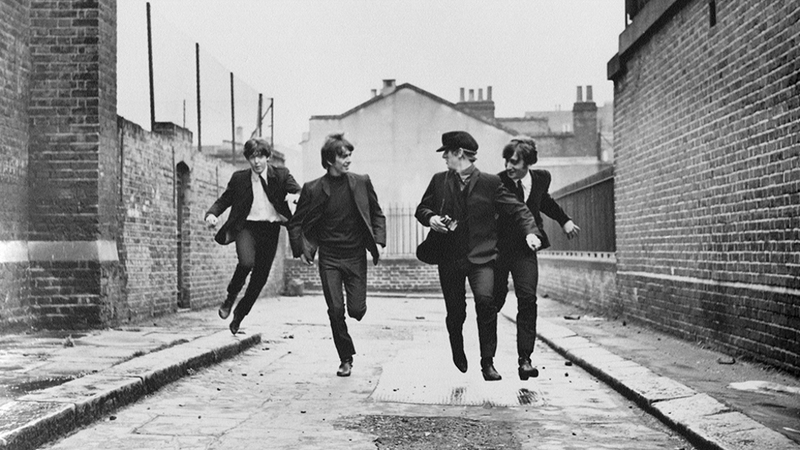 The screenings are as follows: A Hard Day’s Night, with biographer Ivor Davis (January 17); Let It Be, with that album’s engineer — and Santa Barbaran — Alan Parsons (January 2); Robert Zemeckis’s (also a local) I Wanna Hold Your Hand, with actress Nancy Allen and co-writer Bob Gale (February 12); Julie Taymor’s romantic psychedelia film Across the Universe, with rock critic Marcus (February 27); and Yellow Submarine, with artist/writer Bill Morrison (March 2). Next up on the Carsey-Wolf Center agenda is a film series on New Wave, a cinematic movement defined by radical experimentation that emerged in the 1950s and ’60s. The list includes several movies from the famous French Nouvelle Vague, but also extends beyond into similar movements in Cuba, China, and Iran, with the 2011’s This Is Not a Film. Also on tap is New Wave’s historical precursor, Roberto Rossellini’s 1946 Rome, Open City.